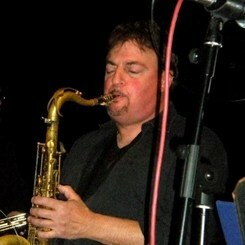 John Serio began playing saxophone and drums in his school band while in the fourth grade. He attended the Berklee School of Music in Boston. After school, he went on to tour nationally with various show bands, pit bands, and also performed in Europe playing lead tenor saxophone with the Lynn Oliver NYC Big Band. John has also performed with such oldies groups as The Chiffons and The Mello-Kings as well Billy Vera and The Beaters, Stars on 45, The Brubeck Brothers and many others. He is currently playing with several local bands and as a free lancing musician in the tir-state area. He has over 30 years of teaching experience, both as a private instructor and in a classroom setting. Lessons are available from Mr.Serio on all saxophones, clarinet and flute. Request Lessons with John Serio today!